Split case or “less than full carton” picking areas are the least efficient areas of the distribution center. 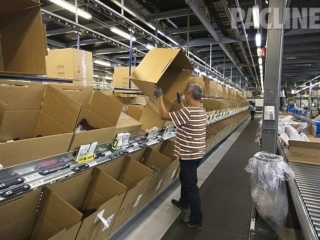 The man-hours consumed per order are the highest in the entire warehouse. Careful consideration of the methods employed for your carton handling will allow you to maximize your profits. 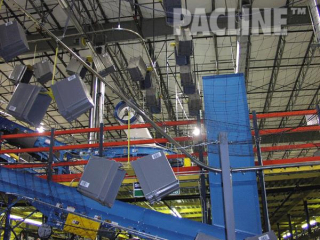 PACLINE Overhead Conveyors can help in this regard. 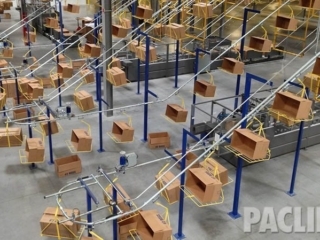 A centralized carton building area combined with a PACLINE carton delivery system will allow your order pickers to concentrate on picking. 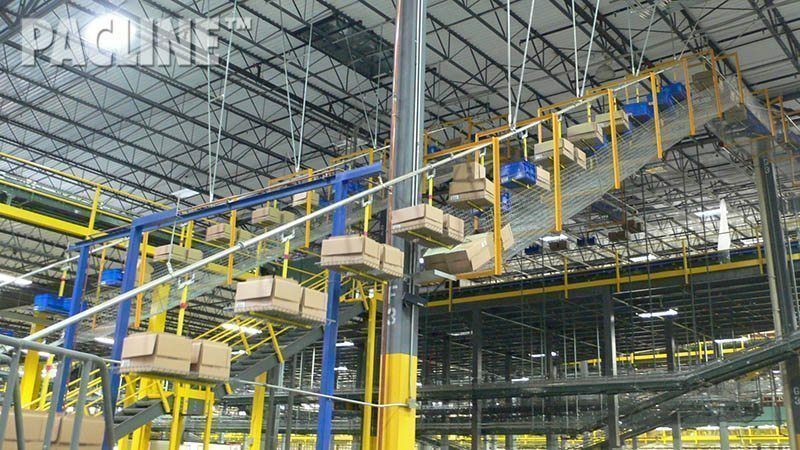 The carton delivery system can be conveniently located directly over your picking conveyors and can be routed through all levels of your picking modules. In many retail store distribution systems, reusable plastic totes are the norm. Plastic totes are bulkier and heavier than cardboard cartons and as such require a special tote carrier solution. 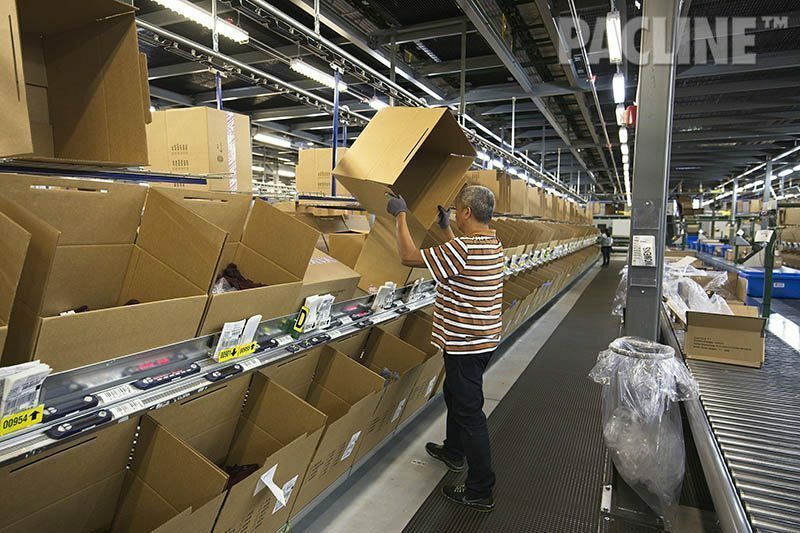 Plastic totes are usually stackable; however, they need to be located all along the picking conveyor, where they end up consuming expensive pick module space. 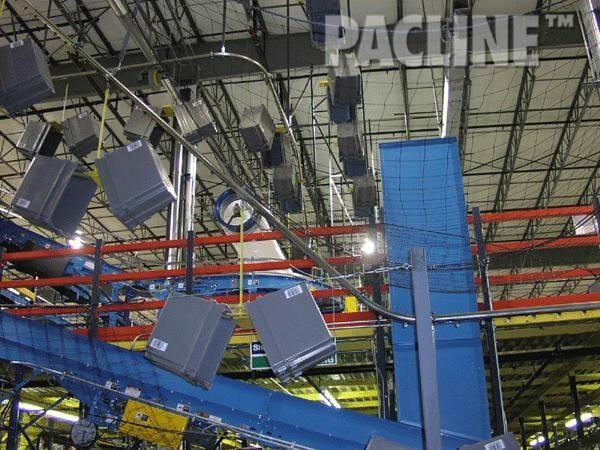 A PACLINE enclosed track overhead conveyor can transport totes from the receiving doors directly to your order pickers, wherever they may be working. 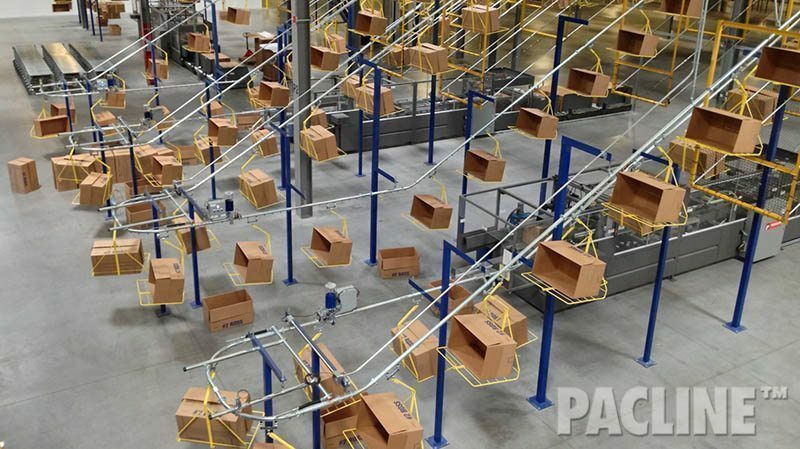 PACLINE’s overhead conveyors are available with a variety of incline angles ranging from 15 to 45 degrees, ensuring the most efficient paths even in situations with tight limited floor space. Bolted track design provides easy installation without welding. 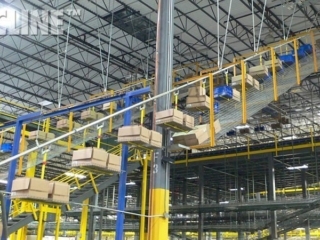 Modular track components reduce downtime during reconfiguration. A variety of carrier styles to fit your carton or tote handling requirements. A tray carrier is often best suited for tote handling; however, lighter and more cost effective carriers are offered for relatively light totes and cardboard cartons.